Having a healthy body is almost everybody’s dream and people are doing some many efforts to keep their body fit like consuming whole foods and exercise routinely. For those who are lazy to go to gym or do some walking outside, there are many equipment to pick to help you move and train your body. 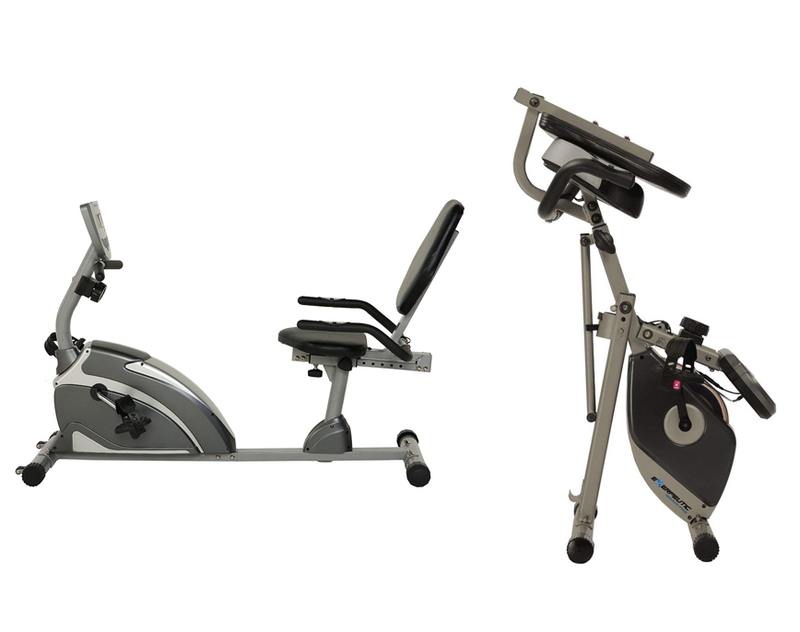 In today Exerpeutic 900XL vs 400XL article, we are going to give you more information regarding these two similar recumbent bike. If one/both of them took your interest, check our article below. Recumbent bike is a very common exercise equipment for people who want to train from home. Coming from a well-known Paradigm Health and Wellness, the Exerpeutic 900XL is an affordable option for those who seek healthy body. The bike offers an exceptional cardiovascular workouts for you with a set of features to help you use it easily. It also suitable for people with weight up to 300 pounds and made with durable material to last very long. The recumbent bike comes with some part pre-assembled, so you need to attach them before you can start pedaling. The instruction is somehow not very clear but just keep in mind that the left pedal is left hand threaded and screws onto the arm backwards and the most tedious part when assembling it is probably attaching the cord to its resistance knob. It also comes with a pretty comfortable seat, so people with back problem will still able to use the bike. Now let’s talk about what this recumbent bike can offer to you. 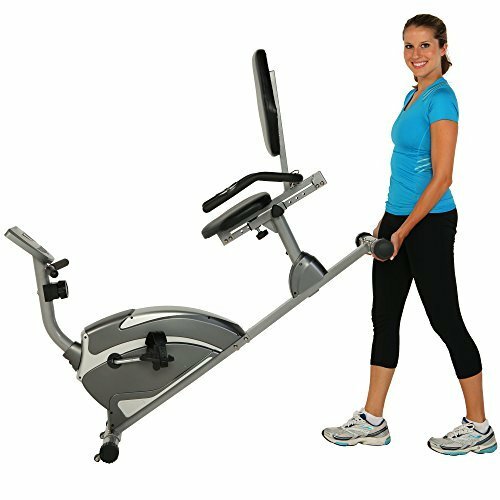 The Exerpeutic 900XL comes with a standard pedal with strap in each side, so you can push and pull them easier. The strap also help to secure your feet, so it won’t slip and cause some injury. To make the bike able to stand still, it has stabilizers located on the leg to accommodate those who exercise in higher resistance and when combined with the lower gravity design, the bike should be able to stay stable. Read also: Exerpeutic 900XL vs 1000 here. As for the resistance, you can pick between 8 speed resistance levels and thanks to its magnetic resistance as well as V-belt, now you can exercise quietly but still with power. This wide array of speed is beneficial since you can start from lower level and gradually build up your strength to the highest setting. The highest resistance is even said to be strong enough even for top athlete while the lowest level is light enough for beginner with less experience to start. At the front of the bike, we can see there is a small display which is used to deliver information like distance, time you have spent exercising, speed, burned calories as well as heart rate. For an entry-level equipment like Exerpeutic 900XL to have a heart rate monitor is a very welcomed feature. The heart rate sensor itself is placed at both handle in each side of the back. The display also have timer, so you can track and pre-set how long you want to exercise. If you think that the Exerpeutic 900XL is too expensive and want to find another option with more affordable price but still offer you a similar capabilities, you may want to check Exerpeutic 400XL. This one is still the same recumbent bike but also comes with some difference in both shape as well as feature. Depend on the user, if you prefer your body position not too low when you exercising, we think this one is more suitable for you. For starter, it still have similarly easy to read LCD screen. From the outside, we can see that the Exerpeutic 400XL is a little bit different since overall, this one is not a full recumbent bike. The seat on this bike is a bit higher, so your body will also further upward from the pedal. Look aside, the material used is reliable and can stand user with weight up to 300 pounds even though it is quite light at 39 pounds but if you are above the requirement, you may to pick another heavy-duty equipment. Check the video at YouTube. Moving to the feature side, we can see it still has the same capabilities just like the 900XL model. It comes with variable resistance in 8 different level that you can select by turning a knob placed conveniently beneath the console. Having this amount of speed is good for you can select which one match your current strength, so it is suitable for people in beginner, intermediate or even those with more experience. The pedal are placed out in the front, so you can exercise without too much pressure in your knee and legs but remember, this is not a full recumbent bike. Many people who use this model are those with joint issue to reduce the pain or to help their rehab. It is made with sturdy plastic and designed to use with athletic shoes, so make sure to always wear your shoes while pedaling since there is no grip surface here. As it has been mentioned earlier, the Exerpeutic 400XL also comes with an easy to read LCD screen to display you your workout status, such as time spent, speed, distance, heart rate, and calories burned. The heart rate sensor are placed at each of its handlebar and when used, you can see the rate together with other stats on the display. To ease you storing the equipment, this one is also foldable. Now, let’s compare Exerpeutic 900XL with Exerpeutic 400XL. 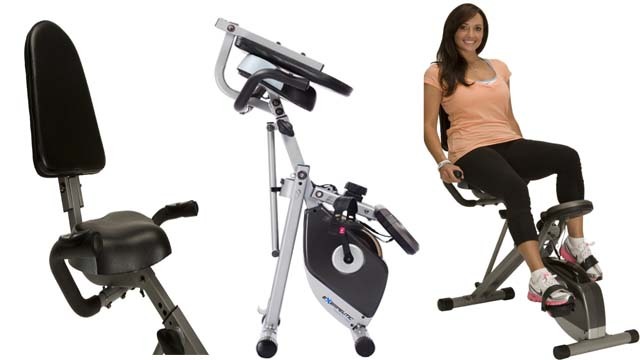 As you may already know, what set these two exercise bikes apart is the fact that the 400XL model is not a full recumbent bike, so your body will sit higher above the pedal unlike 900XL, which is a full recumbent bike that make your body and pedal sit almost at the same level. Another difference is you can fold 400XL while 900XL is not foldable. All in all, the decision is all yours to make. In our opinion, you should base your decision with your need. If you are more comfortable with full recumbent design or need a bit more workout on the glutes and hamstring, go for 900XL but if you also want to slightly put more in your upper body and lighten the lower, 400XL is the one to choose.